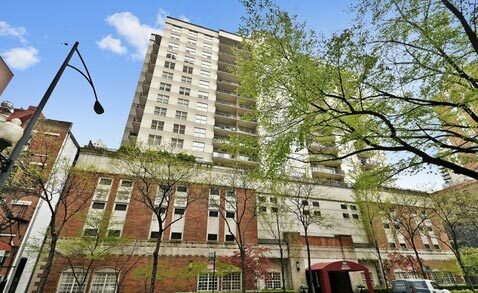 "Convenient location just a block away from the Chicago Red Line stop. At the southern end of the Gold Coast with easy access to River North nightlife and attractions as well." 21 W Chestnut offers spacious floor plans and convenient location near transportation. Residents can also enjoy Washington Park just a block away. The building features just 126 residences giving it more of a boutique feel compared to other larger buildings in the area. Built in 1999, some units at 21 West Chestnut have been renovated by unit owners to reflect more current finishes. 21 W Chestnut offers good value compared to newer construction buildings in the Gold Coast.